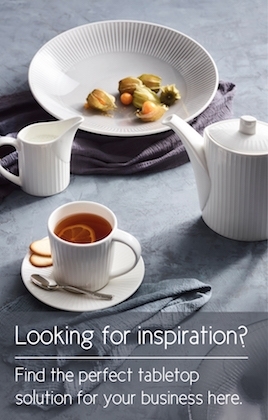 At Steelite International we are proud of our heritage but also very optimistic about our future. Our award winning ‘Stepping Up To The Plate’ culture programme is designed to engage, develop and recognise our people. We celebrate the demonstration of our nine core values - responsibility, honesty, teamwork, passion, leadership, creativity, commitment, respect and success - and embrace new ideas generated by everyone. With our head office in Stoke on Trent, Staffordshire, and regional offices around the world, the passion of the people across our business make us truly an employer who cares about personal growth. We depend on finding the most talented of individuals to take the business to new levels and enable future success, whether this be through external recruitment or by developing colleagues already within the Company. Most of all we want people to enjoy coming to work each day – our ‘Stepping Up To The Plate’ culture is one of inclusion into the Steelite International family. Our apprentice programme is excellent and we work closely with colleges and universities to ensure that we have tailored approach to work experience, placements and employment following study. We offer technical, ceramic and administration apprenticeships – please check our current opportunities for any open vacancies. Our apprentices follow a structured programme to give them a fantastic overview of our business and are tailored to the individual. We support our on the job training with relevant qualifications and assign people to the area where they demonstrate the greatest strengths. Our goal is to provide apprentices with the job and life skills to be able to become a fully fledged employee with a career path that is mutually beneficial. Committed to working with local schools, we are happy to accommodate students seeking work experience placements in both the office and manufacturing environment. If you are interested in carrying out a work experience placement with us, please email recruitment@steelite.com, stating which area you would be interested in working in and what dates you are available. We share our success in a number of ways, the most important of which is our annual “Stepping Up To The Plate Awards” where we recognise the demonstration of not only our core values, but also our loyal employees and the achievements that they have obtained.